I would be lying if I said that a great deal of thought went into establishing spaces for reading in my home. They just kind of... evolved. We have a ton of books, we spend a lot of time reading, and we needed places to store the books and read them. Three corners of our home have gradually become dedicated reading spaces. First, the living room. 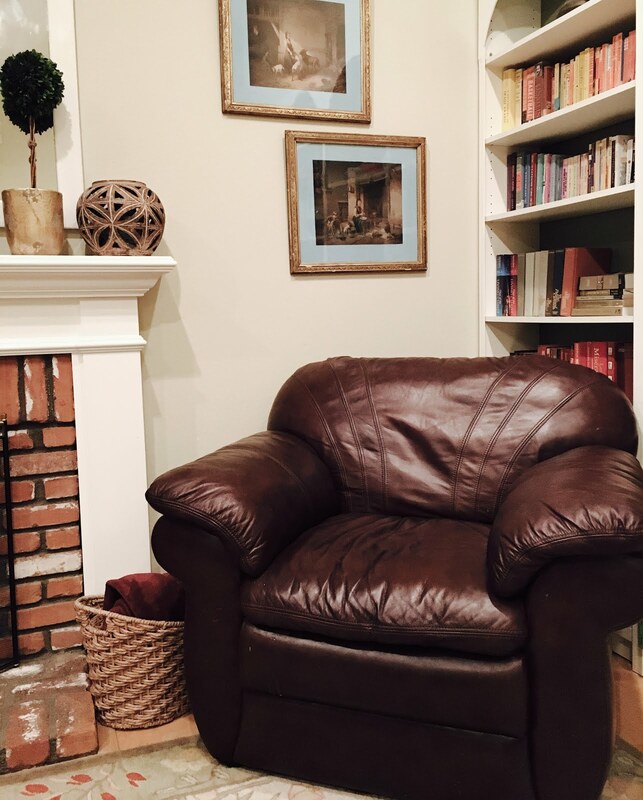 We have an incredibly comfortable (if not incredibly attractive) easy chair in the corner of our living room. This is usually where I read with my kids. The bottom shelves of our bookcase are filled with children's books, on the shelves and in baskets, so that the children can get- and return them- on their own. Second, the playroom. I often get surprised looks when I tell people that our two children share a bedroom and that we've turned what could be a third bedroom or office into a playroom. But it makes perfect sense to me. Children need their own space to play and create and explore. Having a comfortable chair and wall of picture books helps reading be a part of the process. Ikea can help here as well. 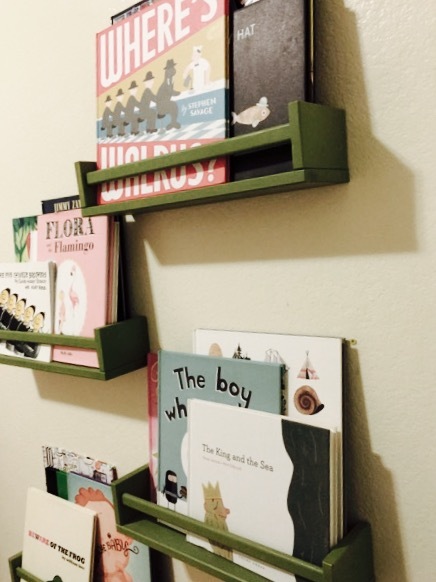 Their Bekvam spice racks make inexpensive, easy wall shelves that you can paint any color you want without the worry of spending a fortune on something that will break. Finally, the bedroom. 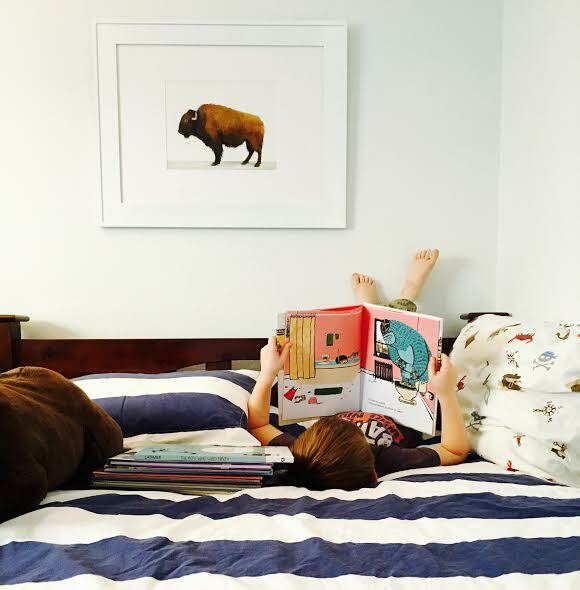 Stories are a bedtime ritual that I love and have so much enjoyment implementing in my own home. Some days can be rough and it is a lovely and positive way to end the day. But no matter how soothing your voice and bedside manner, you can't force a kid to actually fall asleep. We generally don't have toys for play in the bedroom but we always have a stack of books. When I do my final nightly check on my children, more often than not I'll find my son asleep with an open book on his lap. It gives me hope that despite a day full of mistakes, there's a chance I'm doing at least one thing well. 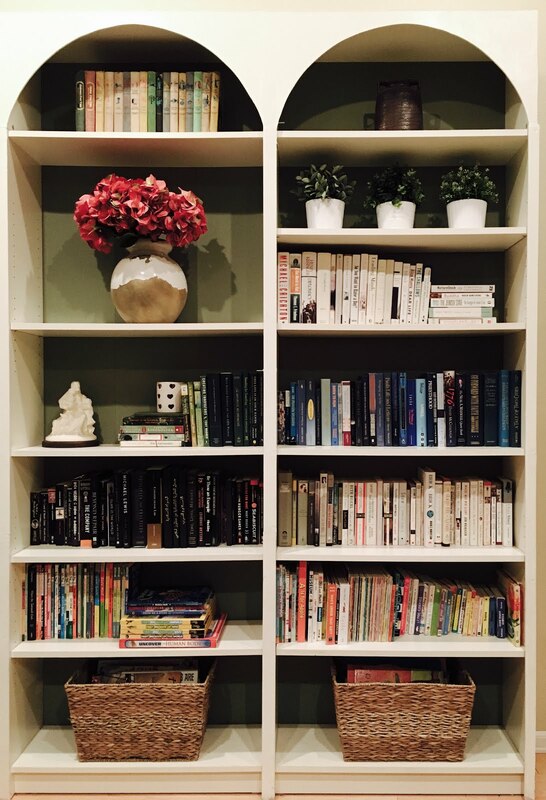 Create dedicated spaces, create them throughout your home, and make the books accessible.